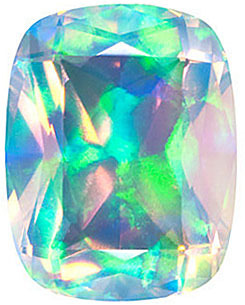 Opals are stunning gemstones that contain gorgeous flashes of light and color. In White Opal gemstones, the beautiful rainbow of color and light are set against a white background. While naturally created and mines Opal gemstones are undeniably beautiful, Chatham Created Synthetic Opal gemstones have their distinct benefits. 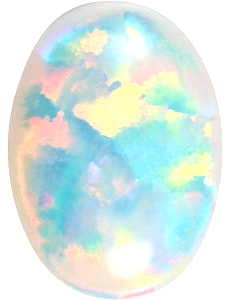 For example, naturally produced Opals display a wide range of color patterns and looks. If you are creating a piece of custom gemstone jewelry that calls for matched gemstones, such as earrings or side gems in a ring, it is much easier to find matched synthetic gemstones. 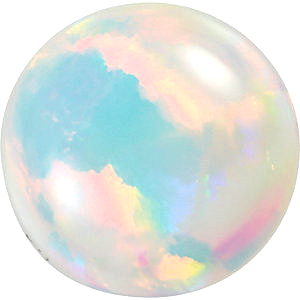 This is because synthetic Opal gemstones are created in a controlled laboratory environment which lends itself to a more consistent outcome, as opposed to the natural conditions that create earth grown Opal. 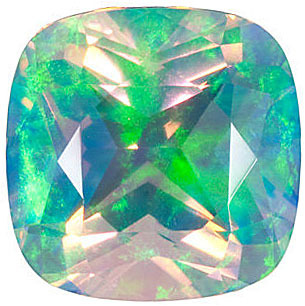 With a more uniform color and look, Chatham Created Opals are ideal for achieving symmetry in your custom jewelry. 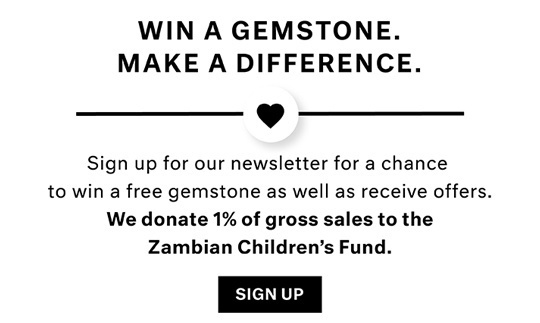 And it�s important to emphasize that while Created Opals are grown in a lab and natural Opals are grown in the earth, the actual chemical makeup of the two stones are exactly identical. All Chatham Created White Opal gemstones are in stock and ready to ship. More Information About Chatham Created Gemstones.